The World War II shooter Red Orchestra 2: Heroes Of Stalingrad will be arriving in stores in a little more than a month. In preparation for the game's launch, TripWire Interactive sent out the system requirements and box art. Heroes of Stalingrad lets players experience the Battle of Stalingrad from the Russian and German perspectives. Each side has its own campaign spanning twelve missions. There are 20 weapons for you to wield, and two tanks to control. The German Panzer and Russian T-34's interiors have been faithfully recreated to make the game as real as possible. Stalingrad also includes three multiplayer modes as well as a multiplayer campaign. The game will ship with 10 maps for online play. The persistent stat-tracking and player progression system allows you to earn medals and new ranks over time. 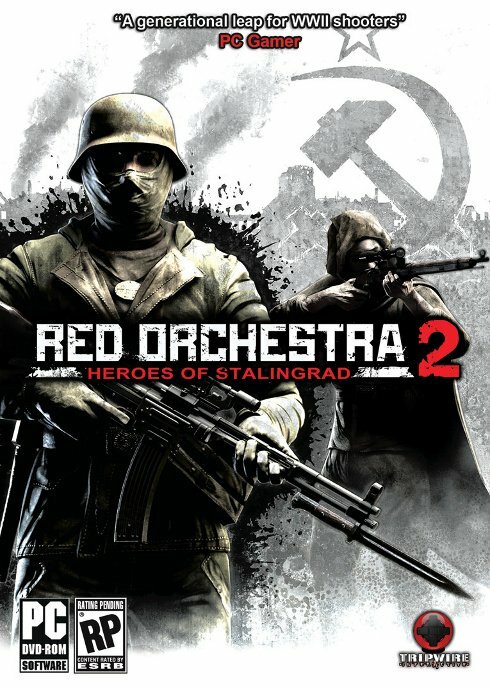 Red Orchestra 2 will launch on August 30th exclusively for the PC.